How far would you travel for a chicken? More than 6000 miles if you’re one of the gourmet Japanese who are crazy about poulet de Bresse, the first livestock to be awarded an AOC and the only bird Francois Hollande would consider serving in the Elysee Palace. Brits may barely have heard of them, but apparently the Japanese adore them. 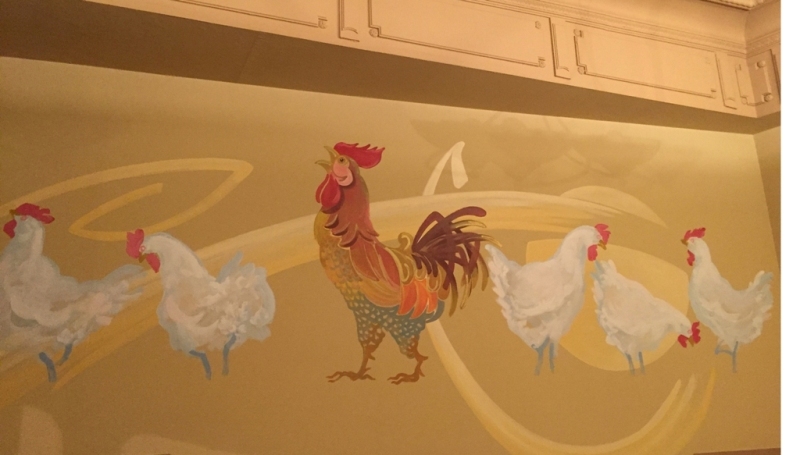 This correspondent and her fellow TripReporter restaurant reviewer husband travelled several hundred miles the week before Christmas to pay homage to France’s finest fowl. 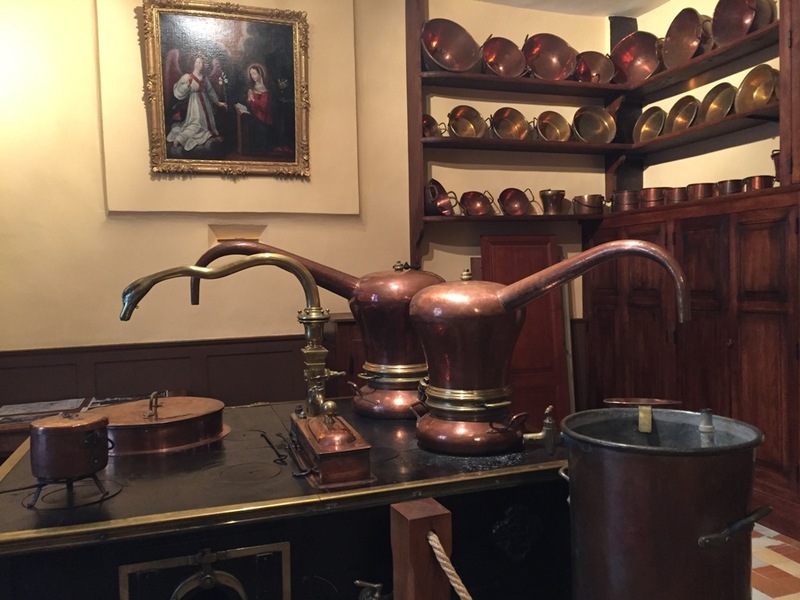 We were already salivating as we hurtled on the Geneva-bound train from Paris towards Bourg en Bresse, a historic little town an hour east of Lyon even more famous for its chicken than its fabulous enamelled jewellery or 16th-century monastery. We were bound for Les Glorieuses, a celebration of the bird which takes place on consecutive days in four different towns around the region. 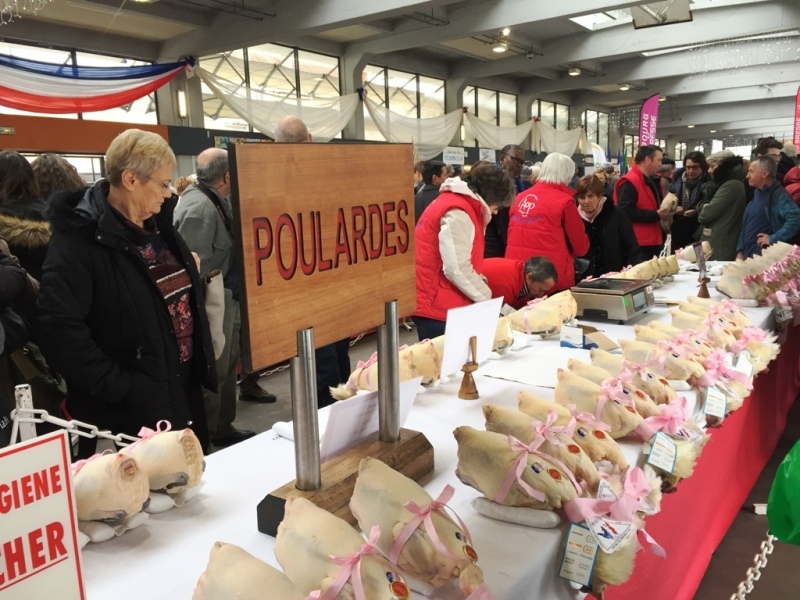 While the final day of the festival takes place in Pont de Vaux, inexplicably featuring a catwalk on which models strut their stuff between the rows of dead birds lined up for judging, we opted for Bourg en Bresse because it’s where we ate our second-ever poulet decades ago. 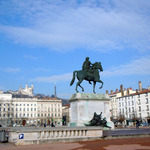 The first was on the other side of Lyon, where we were luckily not put off by being told we would have to wait for the legs of this tougher-than-usual chicken to be properly simmered into submission. It was worth the wait – and we headed straight for Bourg on our next visit to France to try the most sublime chicken we had ever tasted at its source and bag from a local chef the recipe we have used ever since. It’s easy enough to find a Bresse chicken in good Parisian butchers – we never come home without one – but this year we decided to join the multitude of French who descend on Les Glorieuses to bag their own Christmas bird. We ate our first of the trip at Le Chapon d’Or, a simple family restaurant whose interpretation of the classic dish was both simple and divine – jointed, sauteed, deglazed with local vin jaune and finished with the rich cream for which Bresse is also known, and in local fashion coloured pale gold with a touch of turmeric. It was actually better than the one served next day at Place Bernard, the local outpost of the multi-Michelin-starred Georges Blanc, official ambassador for the bird. Before we joined the special VIP lunch presided over by Blanc, we had a thrilling guided tour of the market hall where more than 900 birds were lined up in rows for the judges, suitably beribboned(blue for a capon, pink for a poularde, red for an exceptionally rare Bresse turkey), their white feathers blowdried within an inch of their scalps to show off their coiffure. 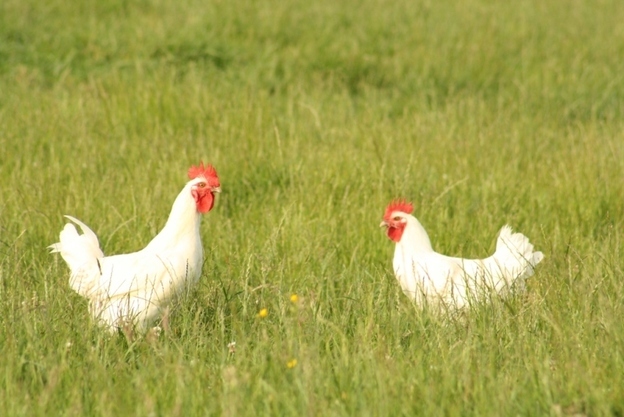 Bresse birds are beloved because their red crests, white feathers and blue feet recall the tricolor of the French flag – this is a chicken for patriots, first mentioned in dispatches as long ago as 1591. By tea-time, every one of the birds was gone, swooped on by chefs and amateurs du poulet alike after the judging; for a cool 85 euros we managed to get one of the last capons for our own Christmas table. 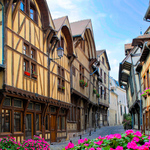 Although Le Francais, one of France’s great, buzzy fin de siecle brasseries, serving Normandy oysters and choucroute from Alsace alongside poulet de Bresse and other local specialities, is alone worth a trip to Bourg, its other delights should not be missed before heading back to Paris (in less than two hours flat). We were wowed by the enamelled jewellery at Emaux Bressans Jeanvoine , which makes updated versions of pieces originally designed for the French mediaeval court, the exquisite church underpinning the Royal Monastery of Brou and the deliciously gothic 18th-century apothecary in use right up till the 1960’s in a still-functioning hospital. 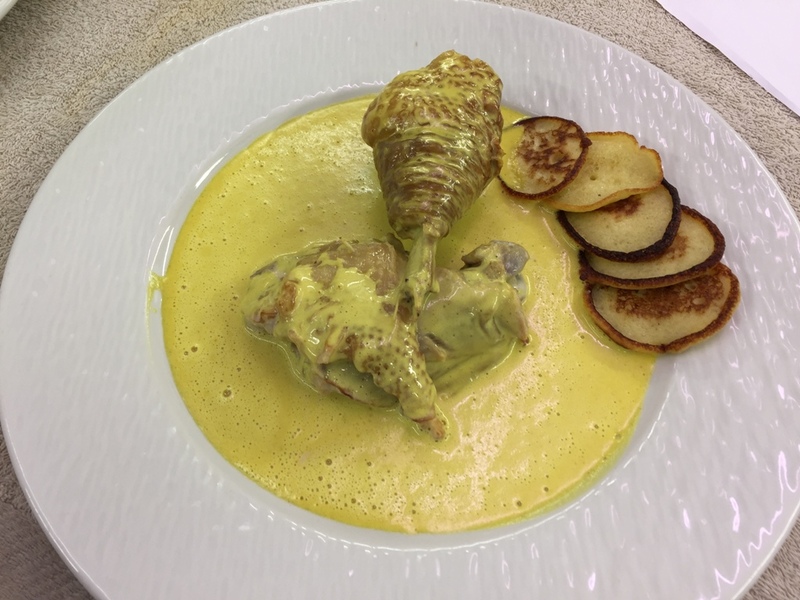 But overall, it’s the taste of the finest chicken in the world whose memories of Bourg en Bresse will stay with you – Glorieuse, indeed, though with its sumptuous, essential layer of fat beneath the skin and cream sauce, it’s a potential killer for anyone with cholesterol issues. 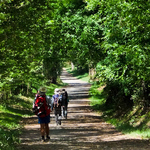 For more details on Bourg en Bresse please visit Bourg en Bresse Tourism.